I have caught the flu! And weeping about a character isn’t helping. THIS IS KRAPPPPPP!! SSH: My smile makes even a man jealous. Just finished speeding through the first 3 episodes of Drama Go Go Go, currently being uploaded by Keane here. Quick-paced and light fluff, easy for the mind to digest. So far, Tong Shao Tian, the young housemate, has a good head on his shoulders. I keep nodding whenever he reprimands Ming Ming for her naivety and passive personality. I mean, you could shove this girl in the wormhole, send her back to the ancient times, and she’d fit right in. Not a popular opinion, I know, but I can’t stand her, especially her confession that she has no rights to be confident about herself. I’d have liked her slightly if she at least loves one thing about herself. Nothing! NADA! Woman, you have a career (she’s a working writer), you’re beautiful to boot, so what the heck is wrong with you that you need to have a man beside you to make you feel worthy? You know what you need to learn first? Learn to LOVE yourself, only then will you find your dignity and self-esteem! Trust me, you’ll be happier if you stop burying them. 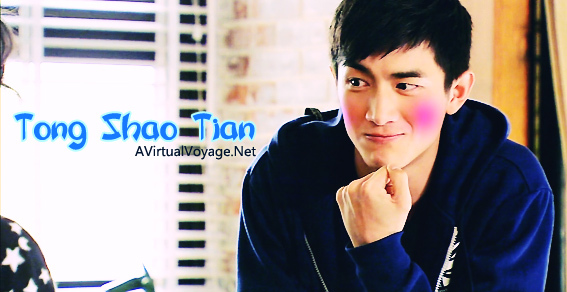 Anyway, back to Tong Shao Tian. Let me list the way you rock! It’s not that shocking to some fans who saw the ending miles away. Like me, bam bam! If you have seen What Happened in Bali, the endings of both dramas fit each other like siblings. The story might have been slightly acceptable in WHIB, but both story lines are equally torturing! Funny how the writer lured you all into this false sense of security by saying “The ending won’t be as bad as WHIB.” I can’t stop laughing. So her definition of not-as-bad is killing only one character? Mind-boggling. The story is supposed to be about fashion, with a bunch of talents being thrown together and how they struggle to get to the top! But now? They all fight to stoop to the bottomless depths of hell. My Young Young didn’t end up together, but they love each other until the end. Next time, guys. Next time. His confession? She didn’t read. Her last words? He didn’t hear. Tragic.